No matter how you look at it, our planet Mars is a cold, cold place. Though temperatures at our equator can reach 20ºC during the summer, this tends to be more of an inconvenience than a reward for the colonies that have to manage the extreme fluctuations between day and night. Rarely have we celebrated the frigid reality of the world we call home, until now. 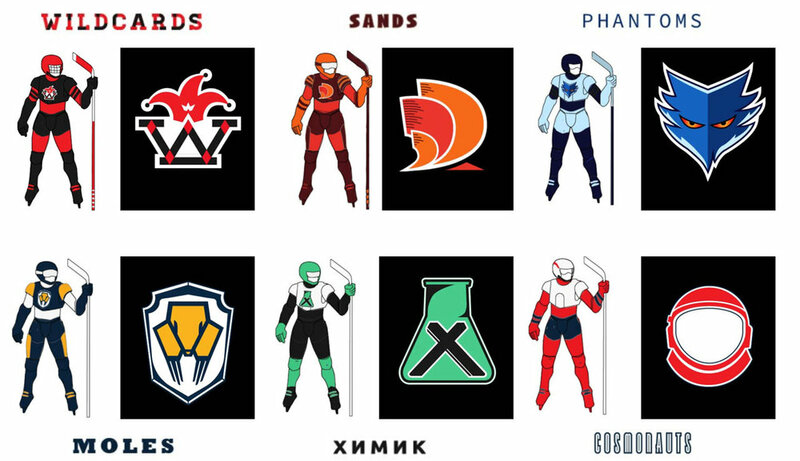 After months of previews and sporadic reports, ISMO has officially announced the 6 teams that will be participating in the first ever Martian Ice Hockey exhibition games. The teams are made up of pilot players from across the settlement, but are all based in either Noviymir, Korolev, or Mareotis. These are the locations ISMO has prototype rink facilities, so most players have temporarily relocated to participate in the unique opportunity. The first round exhibition schedule begins in 2 weeks on Mina the 21st. Corresponding to this, tour groups have started selling vacation packages in hopes of attracting early adopters and supporters to the ice-towns by offering first-hand inclusive experiences. Packages include skate lessons with players, viewing access to afternoon practise sessions, and tickets to the 'doubleheader' games played on Saturni and Solis. For those who are curious but unable to make the trip to the northern settlements, virtual broadcasts will, unfortunately, not be available. "We are intentionally keeping these games exclusive and close to our chests at this stage," said Fredrick Seulovik, President of ISMO. "This is a dynamic process for us and we'll see where these exhibition games take us. Broadcasts will be coming soon." With a mission to foster Earth-style 'winter' sporting events, in addition to Martian Ice Hockey, ISMO is expected to reveal a number individual and team oriented experimental games. Rumours indicate that courses have been carved into retired mining facilities that could conceivably host a variety of 'downhill' competitions. Turning our cold climate into some kind of positive for sports may have its own challenges, but with the ongoing set-backs in our global-warming initiatives (most recently with delays in the Magnetic Dipole Field projects), Mars isn't likely to get warmer anytime soon.